You may have been the victim of fleas, insects, pests that have created problems for your life in the shape of health issues, spreading of diseases. Are you the one who wants to get rid of the fleas that have made our life miserable? Certainly, everybody wants to get the pests and insects in the shape of flea out of his home as they bring germs and many diseases with themselves. In an attempt to eliminate the probability of spread of Fleas, you need to use pesticides which unfortunately, may turn out be disastrous for your health as it contains toxic material and liquid. 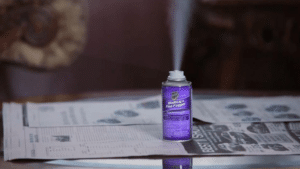 The fogger is the spray filled with toxic liquid that has to do with the killing of the insects, pests and fleas. Bomb releases the spray of pesticides openly into the air for couple of minutes in the form of aerosol. This ultimately, the pesticides spray’s liquid, fall on the ground and surfaces. The falling of the liquid on the food items, consumption-driven material can be poisonous for us. Certainly, you are not supposed to clean up everything or a lot of things after using a bomb or the fogger. The initial practice to ensure a clean house after using up of the pesticides or the fogger is the reading the instructions of bomb’s packages that will allow you to have effective knowledge of what to clean after flea fogger. It offers the proper knowledge and information which will be used to hide floors or surfaces and the place where the food is being prepared or being consumed. It also helps you to fully and properly cover fish tanks along with the elimination or removing plants before the process of fogger or bombings starts. It has to be noted that food items must be placed inside the cupboards or the refrigerators so that they can be protected from the toxic and poisonous material or liquid of the pesticides or the fogger. Do you have any one at your place who is suffering from the disease of respiratory conditions? If it is the case, you are supposed to place fogger or pesticides in the sealed plastic bag in an attempt to eliminate the chances of spread of bedspread. It is widely known fact that the over usage of bombs are not appreciable and can spread a lot of disease or inflict health challenges to the people living in a particular house or home. As per the statistics of the California Department of Pesticide Regulation, it is highly recommended to the people that they are not supposed to use over 1 ounce of product for the every 1000 cubic feet of the particular place of the home or house. The instructions written on the bomb are people-friendly that goes on the aware you about the ways to clean floor or area after the usage of pesticides and fogger. It has been said by the expert and professional individuals that one has to clean the food preparations, or the eating floors with the help of the soapy and the warm water that can eliminate the chances of spread or prevailing of bad and the harmful diseases or toxic led air. You are supposed to have soap and the water in the quantity or amount which we generally use in our daily life activities for the household related cleaning stuff. For an instance, it is said to be the fact that 4 tablespoons of liquid washing soap has to be added to the one gallon of water. A research of California department has been very clear on the cleaning of the floor effectively. As it is highly recommended to wipe or clean the every corner of surface especially the one which is easily accessible and reachable to the children, the most vulnerable segment of the society, and they are the ones who often come close to the pesticides or fogger being used or fallen on the floor. And it is also noted that cleaning the spaces like inside of drawers or the closets has not to be very important or the needed as the liquid or material of fogger, pesticides cannot get into such impenetrable areas of the living space. You are also required or supposed to clean the areas of floor such as carpets or other places where you see the dead insects fuelled by the toxic and poisonous nature of fogger or pesticides. In an attempt to eradicate the probability of spreading the diseases which are poisonous and harmful in nature, we are recommended to apply the fogger or pesticides or the chemicals which ultimately lead to the elimination of fleas and insects. But there can be other options too which you can used to you benefit. Certainly, fogger or usage of chemicals seems to be the best option or way to kill the tiny insects or fleas. But what appears to be the best option to stop fleas from getting into your home by using the effective tactics of making them stop at your doorsteps. In order to eliminate the access of home on part of the fleas, you should locate the areas of indoors or outdoors and searching the entry of pests and points that can be in the shape of missing cement, torn screens and much more. For that, you need to fix all the areas and weak places to prevent the entry of fleas. Do not leave the smallest holes untouched and instead, use the mesh, cement to make it plan or best. Also, eliminate the areas of water such as the leaky hoses and the faucets. Do not forget to clean the areas where food items are placed and the other stuff of household debris which has potential to attract pests, insects and fleas. According to the national pesticide information center, offering information and instructions saying that the relative humidity has to be below 60% along with the help of ventilation, air conditioning and other related things.